We offer the 1-Hour Signature Facial. One of our licensed aestheticians will thoroughly review your skin type and skin condition and consult with you to deliver the most beneficial customized treatment. You’ll arrive to a spa-like treatment room complete with soothing music and soft lighting. Your personalized skin analysis will determine which products are best-suited for your face, neck and décolletage (chest area). Your skin will be thoroughly cleansed and prepped for light exfoliation. Our aestheticians have a variety of enzymes and masks to remove impurities, restore hydration, and calm and soothe your skin. Hot towels are intermittently applied throughout the treatment. You might be surprised how much you enjoy the steaming process, too! 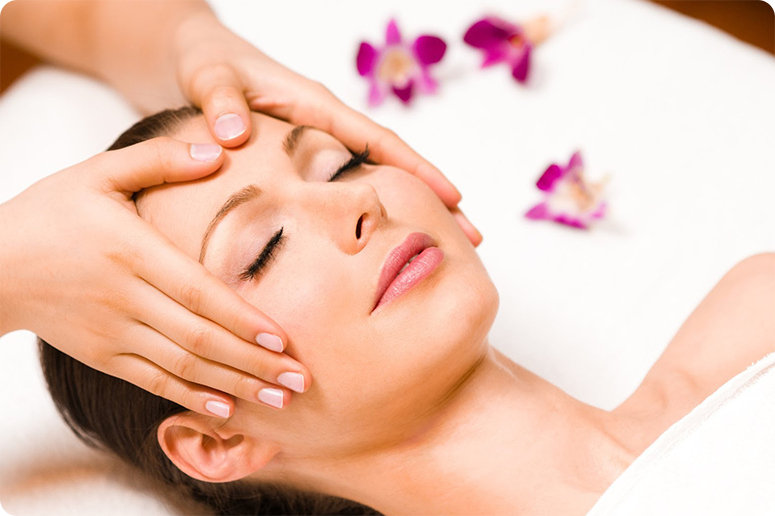 Release all of your stress from the day during your facial massage. The relaxing massage is designed to increase circulation and penetrate product deep, where it can do its job. Finally, a moisturizer and sunscreen will be applied to protect your skin and restore your “glow”. Interested in a Facial? Call 757-622-6315 to make an appointment.